Recently I had a paper out in Conservation Biology (led by Gabby Salazar) that focused on a qualitative method to evaluate the long term contribution impact of a social marketing intervention. Gabby used General Elimination Methodology, a theory driven qualitative evaluation method, to assess the long-term impacts of a social marketing campaign on human behavior and biodiversity. 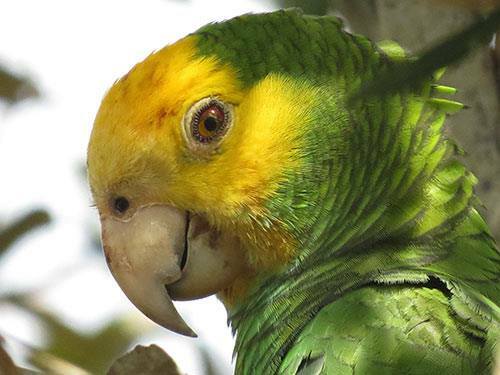 We evaluated a 1998 Rare Pride Campaign on the island of Bonaire, designed to increase the population of the lora (Amazona barbadensis), a threatened parrot species. To evaluate the campaign‟s impacts, we interviewed a range of stakeholder groups to understand their perceptions of the drivers of the changes in the lora population over time. We used this data to develop an overall Theory of Change to explain changes in the lora population by looking at the overlap in hypotheses within and between stakeholder groups. We then triangulated that Theory of Change with evidence from government reports, peer-reviewed literature, and newspapers. Our results suggest that the observed increase in the lora population can be largely attributed to a decrease in illegal poaching of loras and an associated decrease in local demand for pet loras. The decreases in both poaching and demand have likely been driven by a combination of law enforcement, social marketing campaigns (including the Rare campaign), and environmental education in schools. General Elimination Methodology proved to be an illuminating post-hoc evaluation method for understanding the complexity around how multiple interventions have influenced conservation outcomes over time. There is a need for evidence-based evaluations of social marketing interventions to ensure that limited resources are spent wisely. Here we present a new approach for evaluating the influences of social marketing campaigns on both human behavior and conservation outcomes.